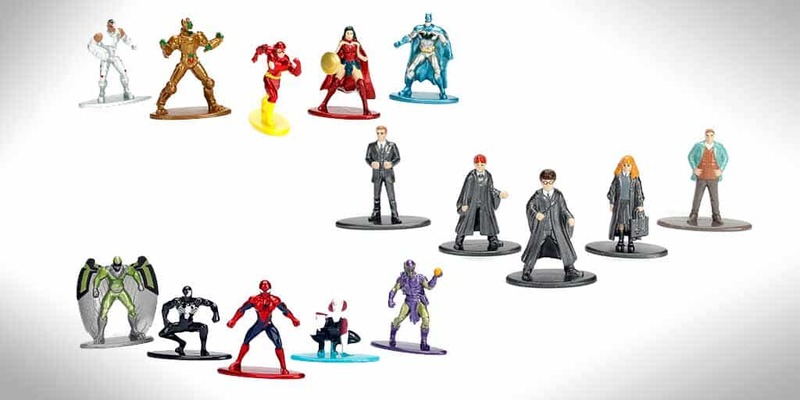 DC, Marvel, and Harry Potter Nano Metalfigs Coming Soon | Nerd Much? If you’re like us, your office is decked-out with all sorts of nerdy things. Right in front of me, we have some Funko Pops, a Deadpool plush, an LED-lit Mario, and an Ecto-1. We’ll find any excuse to clog our shelves up with nerd merch. Now, we have something new to add: new DC, Marvel, and Harry Potter Nano Metalfigs. These super miniature figures stand just 1.65″ tall, and they’re made of 100% die-cast metal. The new collection will feature some of each property’s biggest names, including Spider-Man, Venom, Harry Potter and Hermione, Batman, and Wonder Woman to name just a handful. There will be 50 different figures available at launch, and you can buy them on their own for just $0.94 or in five-packs for $4.68. 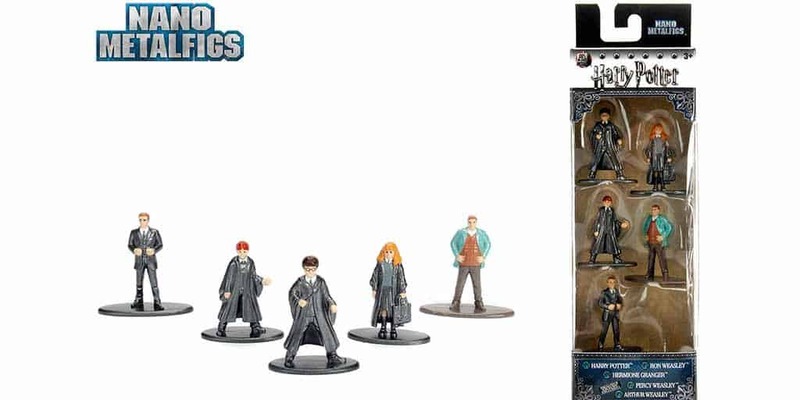 In the Harry Potter five pack, you’ll find HP, Ron, Hermione, Percy and Arthur. 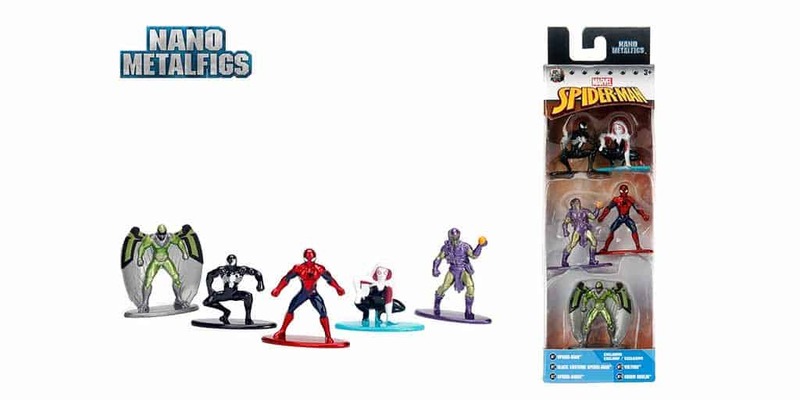 In the Spider-Man Nano Metalfigs pack, you’ll find Spidey, Gwen, Venom, Green Goblin, and Vulture. 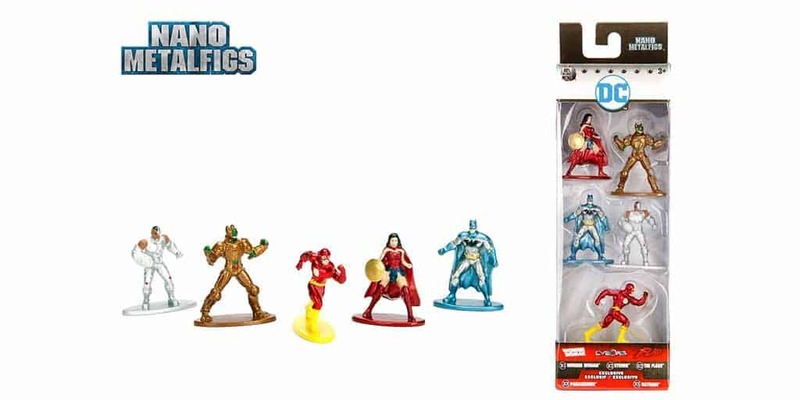 One of the DC packs offers Batman, Lex Luthor, Supergirl, Superman, and Aquaman. While these Nano Metalfigs aren’t exactly highly detailed, they still look great, and at the price point of under $1 each, they’ll make a perfect addition to your collection. These figures will be available exclusively at Walmart beginning on July 1st and through the month of July, with the Marvel figures being exclusive through the end of the year. So, you know, plan to see some in your stocking come Christmas time. For more ridiculously cool stuff, stay tuned to Nerdmuch.com and our social feeds.